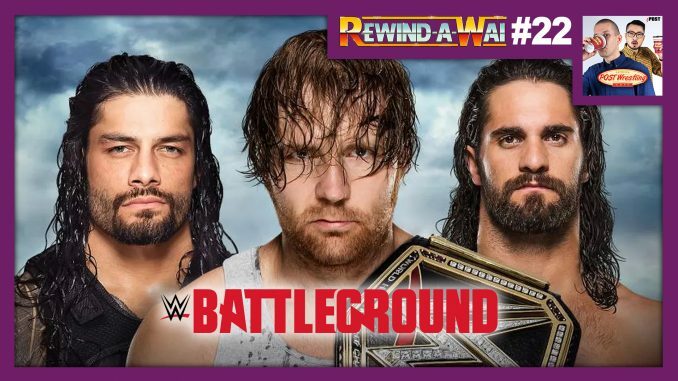 John Pollock and Wai Ting review WWE Battleground 2016 just days following that year’s WWE Draft. WWE Champion Dean Ambrose faces Roman Reigns and Seth Rollins to determine whether the title moves to Raw or SmackDown. Plus, Bayley makes a surprise debut, Randy Orton appears on the Highlight Reel, and Kevin Owens faces Sami Zayn for THE LAST TIME. This edition of the Rewind-A-Wai is presented by Espresso Executive Producer, Jerry Kilgore.